Karl Bareis of Santa Cruz Timberframes investigates on old dairy barn just north of Davenport, CA. 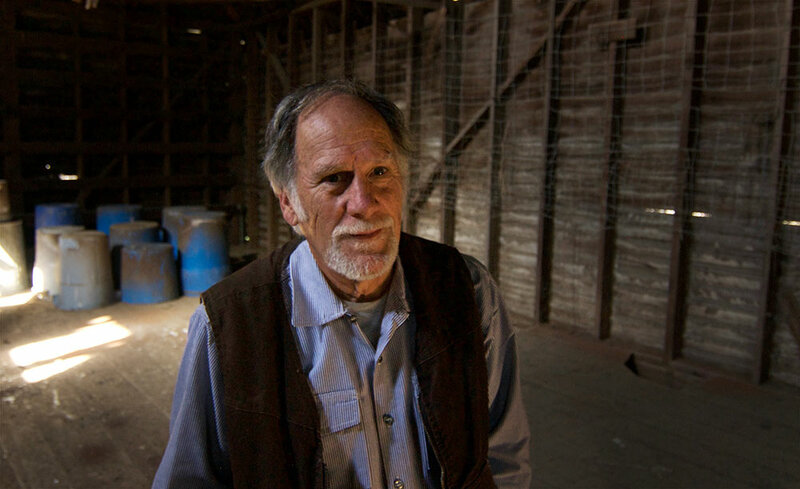 This spring I was lucky enough to tour a number of barns on the San Mateo coast with Karl Bareis of Santa Cruz Timberframes. Karl is the general contractor for the reconstruction of the barn at POST-protected Root Down Farm (watch the video here). He is a world class timber framer and has rebuilt a number of barns on the Peninsula. 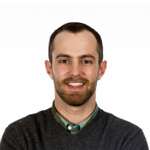 Karl learned to build timber frames while studying as an apprentice in Kyoto, Japan. He studied under a traditional temple builder for seven years before returning to California and settling just north of Santa Cruz, CA. His approach to building and to understanding historic structures is very much rooted in an eastern tradition. Barns, to Karl, are lessons in history. Visiting these barns with Karl was like traveling back in time. He explained how these structures were built, the materials they used and why they were built the way they were. Knowing why they were built helped me understand how they were used, how the land was used and the importance of these structures to local farmers. It’s amazing what you can learn when you know what to look for. Many of the barns on the Peninsula look like this one, tired and in need of repair. 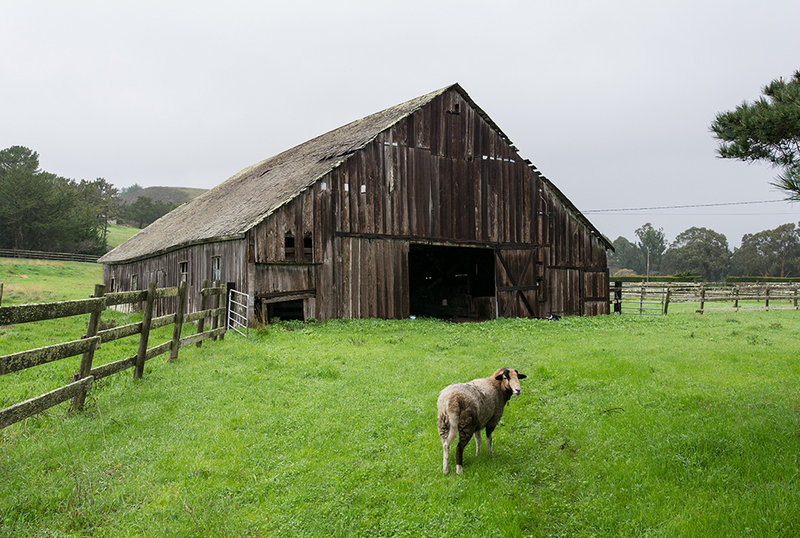 I also learned that barns on the San Mateo coast are quickly becoming endangered species and the few that do remain are in poor condition from years of neglect. This is a crisis for local farmers who need barns to sustain their businesses. Barns on the San Mateo coast house livestock, protect feed and equipment from the elements, provide space to safely prepare products for shipment and, for dairy operations, are the milkhouse. Without the proper infrastructure, farms on the San Mateo coast will struggle to sustain themselves. Farms need barns, roads, fencing and access to clean water. They are integral parts to a successful farming operation and are the tools needed for a sustainable business. That’s why we’re committed to improving agricultural infrastructure on POST-protected farmland. For the past 30 years we’ve worked to improve upon these resources, invested in the future and helped support our local food system. And with our new Farmland Futures Initiative, we’ve reaffirmed this commitment. This spring, Karl got started on rebuilding the barn at Root Down Farm. It’s a long process, but his hope is that, with any luck, this barn will continue to serve coastside farmers for another 200 years.